I was given a copy of The Other Boy in exchange for an honest review and figured that I would wait until the day of launch to post this. Here's the deal. You need to click the above link now and pre-order this bad boy so you can begin reading it the day it comes out on November 10. Believe me when I tell you that this is one novella you do not wanna miss. 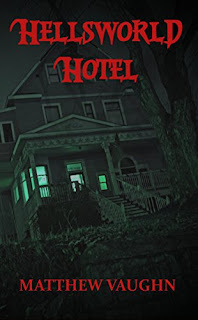 Ian and Taylor have captured something here that goes beyond just your ordinary ghost story and becomes something else entirely. Some might even say it's a bit cliche but you know what? I love horror stories like this and it takes some of the darkest elements of the genre and twists it into something unique. The thing that I love most is that just when you think you have it all figured out you find out you don't. The Other Boy isn't a book you can just categorize. The story is less about Will and Alice and more about Toby and what's happening to him. In a book like this you're usually on the outside looking in and you're led to believe that what's happening isn't real. You begin to believe that the character is slightly going crazy, but here you see right away that something is happening, but you don't know why. The Taylor's slowly build up the tension without losing the momentum of the plot. That's where a lot of writers lose their way, but that's clearly not the case here. Everything works seamlessly and it becomes a book you simply can't put down. If you're a parent you can sympathize with Will and Alice. We want to protect our kids but what happens when you can't? This is the strength of the novella. These are characters that you can sympathize with and even when it seems as if Alice is truly losing her mind you can't help but rationalize what she's thinking. They wanted to rebuild their marriage after Will's affair so it would make sense for Alice to think that her husband's mistress is the cause of all that's happening. 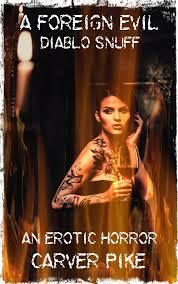 This is a well written horror novella that veers in and out of two different genres. As you read it you see it as a simple haunting, but then you can see that it's clearly a case of possession. 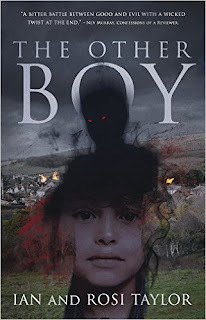 While a lot of newer horror novels rely on gore to hook in their readers, The Other Boy goes for psychological terror. It's the fear of the unknown that drives this novella. It's the things we can't see that we should be afraid of. If this were a film it would scare the hell out of you. As a book though it's still unsettling and should be read, and read more than once. I would actually give this more than five stars and will place this in my ever growing pile of favorites.